Many couples face challenges during the middle years of marriage. Anywhere from the 15th anniversary to the 25th anniversary and beyond, this is the time where responsibilities are great (mortgage, career, raising children, sometimes grappling with dissatisfaction about one’s life, heightened involvement with elderly parents). Many couples will go along fine, raising children, having established a home. Sometimes routines and patterns are established and to the chagrin and surprise of some couples, there is a sense of drifting apart. It seems to happen subtly, without warning or notice until it has taken hold. The wife may experience a loss of affection, attention and feel a sadness that her husband does not understand her while the husband may feel ignored or excluded in the household. Catch this as it is happening! The longer you wait, the harder it might be to feel comfortable again. I’ve suggested that couples spend one minute a day hugging each other. What if this feels phony because there is a noticeable distance in the relationship? Well, do it anyway. Do it because you love your partner and just want to extend a greeting. If it is awkward, you could tell your partner you feel awkward, but how do you expect to increase the emotional closeness without being close? If your individual interests are taking you away from your partner, it is time to find something both of you want to do together. If you persevere in separateness, you will get more separateness. You have to start thinking in ways of becoming a team again. And that starts with spending quality time together, being more fun, and seeing the lighter side of life. It takes courage to behave differently after a long period of time has gone by. It’s okay to feel awkward and uncomfortable, but is it okay to continue experiencing an unhappy, distant marriage? The alternative (separation, divorce, or living the rest of your marriage unfulfilled and unhappy) is worse than some discomfort. And do you really want to give up on your marriage if you have drifted apart? Think of the beautiful history you have created – maybe not in recent times, but definitely in the early years of marriage. So what can you do to ward off the middle age marriage blues? Seek to understand each other. Understand the personality of your spouse, his or her interests and passions, fears, worries. Accept and do not judge. Judging and criticism is a form of rejection and does not build close, emotional warmth that is present in happy marriages. Strengthen your friendship by spending time together, laughing, praying, working toward a shared goal or vision. The strength of your marriage depends on fondness and admiration of each other. Do you admire your spouse? If you suffer from boredom, find a new shared interest. Take community education classes on a new and different subject. If you feel like you are drifting from your spouse or have drifted, take corrective action as soon as possible. Set aside time to talk or play. Someone has to make the first move and it might as well be you! Otherwise, the drifting might turn to living separate lives, an increase in criticism, resentment, less affection, and a very distant feeling. Do you really want to live like that for 20-30 more years? “Two people can only remain united in marital love for as long as their continued efforts aim at building a true conjugal union endowed with the strength and unifying power that marriage in its natural design should have. Those who ignore this design are likely to find whatever they build fails to draw each out of the dominant self-centeredness which is always the real obstacle to happiness; and that in the end it proves too fragile to last.” – Cormac Burke. The middle years of marriage are especially prone to self-centeredness if the couple is burdened by major responsibilities (job, house, children, life in general). If each spouse has not been tending to the emotional needs of their partner, selfishness can crop in to the point where one person might exclaim, “I’m out of here” and is tempted to leave. To combat the tendency to selfishness, focus on marriage as a team and make choices for the greater good of the team or the other person. 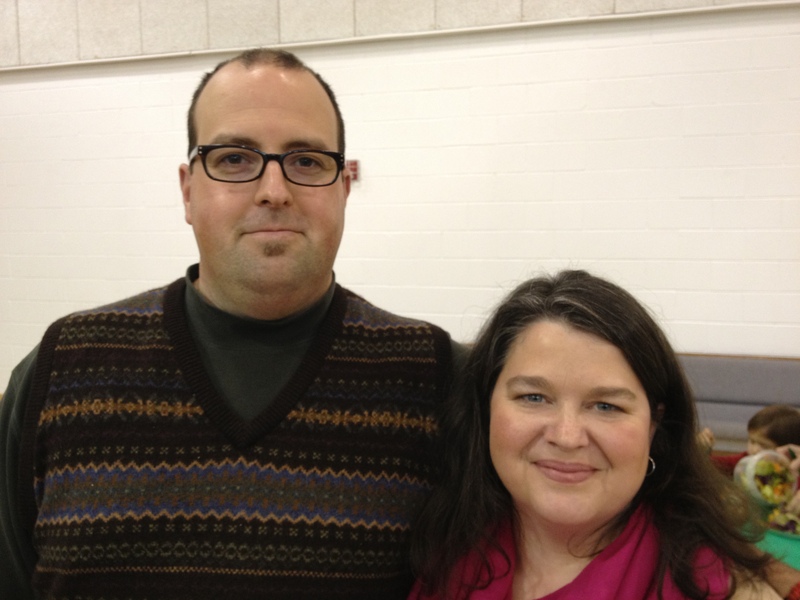 Meet Michael and Jennifer Kernodle. They were married at age 18 on August 3, 1991. Many members of their church community said things like, “Your marriage will never last. You’re ruining your lives by getting married so young. How ridiculous.” These are comments from a culture that emphasizes frolicking and fun in relationships at a young age. Jennifer and Michael knew differently. They understood the value of commitment when you are in love and choose to get married. They’ve observed that several people who told them to wait are currently divorced, even though those couples waited until their late 20’s and early 30’s to get married. Michael says that marriage is a decision you make and no matter what age you get married, you will have trials and errors as you go through a lifelong partnership. “Do not get frustrated and do not give up and be careful of being stubborn. It is natural that we will have a lot of learning in our marriages.” “We hate when things get hard, or when we are not connecting well (referring to the early years of marriage),” says Jennifer, “but we pushed through it and we are richer on the other side.” Michael agrees that when they have arguments, at the end of the day, when you look at things from a larger perspective, they love each other and always resolve tiffs or disputes. They’ve chosen to love each other and therefore, their attitude and treatment of each other reflects that. They recently moved to another state and are establishing a new life. They see how important scheduling is – to take regular time for themselves and if they do not, they notice they are in need of a date night. Work and obligations have a way of crunching out time together. “For a marriage to work, it is not enough that the couple learn to love each other. They have to love something else together. The more noble that something else is, the more strength it will give to unite them and keep them in love and growing in love.” This is a quote from Man and Values, by Cormac Burke. I understand it to mean that a couple is the “third entity” of life. First you have 2 individuals and when they get married, they form a unit. Depth is added to life if the couple can embrace something unique, such as a shared passion, business, children, interest, or community service organization for example.